2nd page update today- I am happy with this one as well. I love how the story is moving along with color. I quite like Bean's captor. Dark, magical, selfish and speaks in rhymes. Kinda reminds me of Two-Edge (Elfquest). Good job on your characters, making even the evil ones likable. 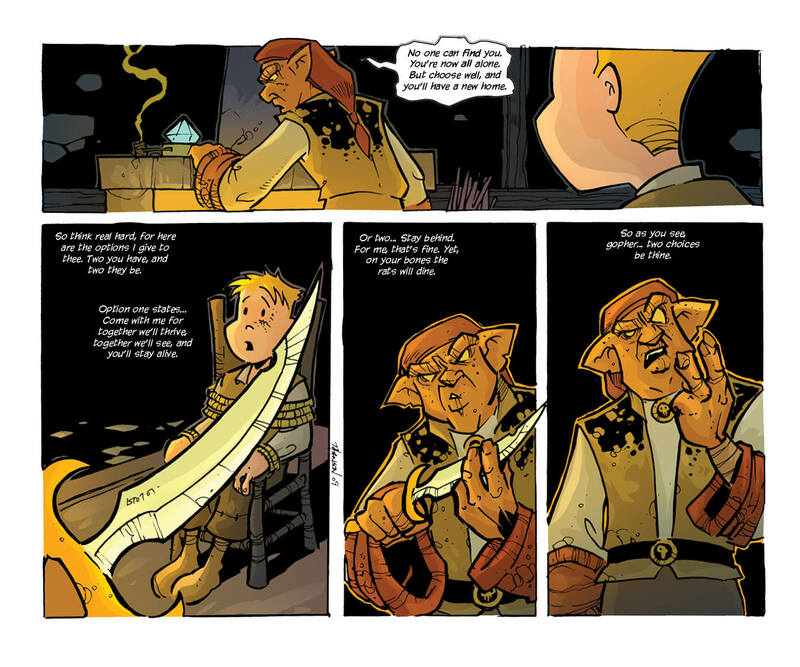 two-edge was a fantastic character – prob one of the main highlights of the quest for me.